Understanding the need to present your images/works in the best possible way, we have developed a custom post type for portfolio management. This type comes with advanced editing options meant for precise and flexible portfolio setup. 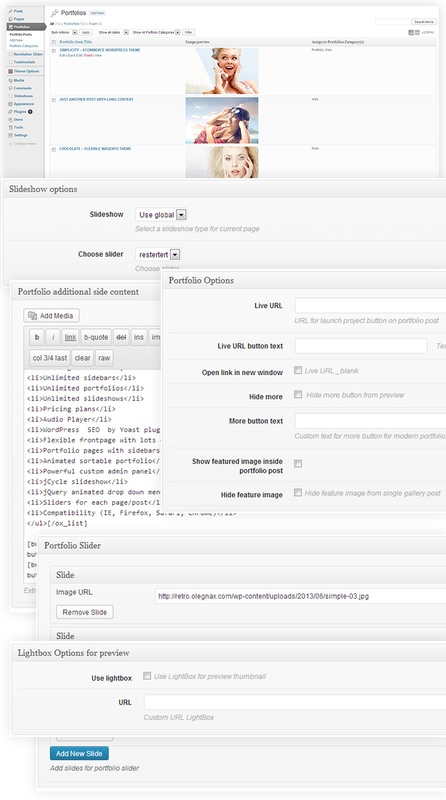 At same time portfolio can be added through the shortcode that is implemented into the default WordPress editor.